Musto’s position in the market isn’t just linked to one field. They cater for sailing, shooting and equestrian markets, as well as general fashionable items making them quite unique, especially as they succeed in all. 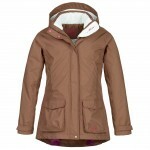 Here at Philip Morris & Son a lot of our Musto range is for the country and shooting markets, however we have recently added a number of Ladies Equestrian jackets to the mix. We’ve previously blogged about one of Zara Phillips’ new equestrian jackets with Musto, and here we’ll look at what’s new. The Stamford Gilet is an eye catching piece with its contrasting button detail and cotton plaid lining. Unlike some other gilets it has a high neck which can be buttoned up to keep out the wind and cold, and also has 2 buttoned patch pockets. 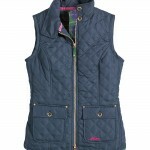 The quilt design makes this gilet an attractive item, while the 2 way zip is perfect for anyone with an active lifestyle. The Quilted Hamilton is a waterproof and breathable jacket. Using 100% polyester wadding to keep you warm, the cotton plaid trim offers similar eye catching detail to the Stamford Gilet. The waist belt allows you to draw the jacket in close to you and also adds definition. The Hamilton jacket is sure to keep you warm and dry. 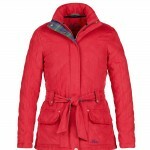 A country riding jacket which ticks all the boxes. The Alderton jacket is breathable, waterproof and highly versatile. Musto always think of the small details such as adjustable cuffs and an internal waist adjustment, allowing you to tailor this jacket to suit you, while the studded back vent gives more room when needed. The Schooling jacket can be worn throughout autumn/winter: fleece lined for optimum warmth, with handwarmer pockets, and an internal waist adjustment allows this jacket to be pulled in closer creating warm air pockets. 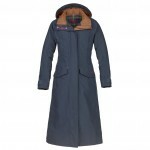 The longest coat in Musto’s equestrian range, the Suffolk Riding coat is a multi-purpose country coat. The jacket has velcro leg fasteners and as with the Alderton jacket, the Suffolk has a back vent which can be extended. Duck down and feather wadding will keep you warm in the coldest of months with the Short Arctic Rider Jacket. 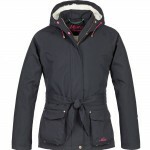 This jacket ticks all the boxes – waterproof, zipped pockets and elasticated cuffs keep the cold out and the warmth in. Smart looking, the Trials jacket has thick pile fleece lining in the body of the jacket, but not the arms to allow ease of movement. 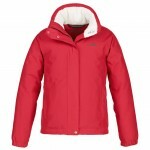 Breathable and waterproof, with an adjustable hood, and ventilated pockets this is an all round great jacket. The first thing you notice about the Harrisburgh gilet is the soft touch of the peached polyester outer. 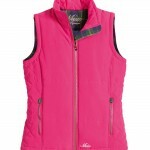 This gilet has a lightweight insulated wadding, 3 zipped pockets, and the cotton plaid trim adds a nice contrast. Musto’s investment in good quality, high performance equestrian wear is obvious to see, so it’s no surprise that Zara Phillips has put her name on it. With such a wide range of choice there is bound to be something to suit all needs, and even if you are not in the equestrian field, they are still great items to wear day to day. John Jones in Managing Partner at Philip Morris & Son. As a keen driven game shooter he takes a hands on role in selection and development of the Philip Morris & Son Country Clothing range. With a combination of technical, industry and user knowledge this puts John in a unique position to share his knowledge of the best and worst products available. 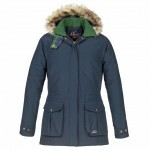 Alderton Jacket, equestrian, equestrian jackets, Gilet, Harrisburgh Gilet, Musto, Quilted Hamilton Jacket, Quilted jacket, Schooling Jacket, Short Arctic Rider Jacket, Stamford gilet, Suffolk Riding Coat, Trials Jacket, Zara Phillips, ZP176. Bookmark.